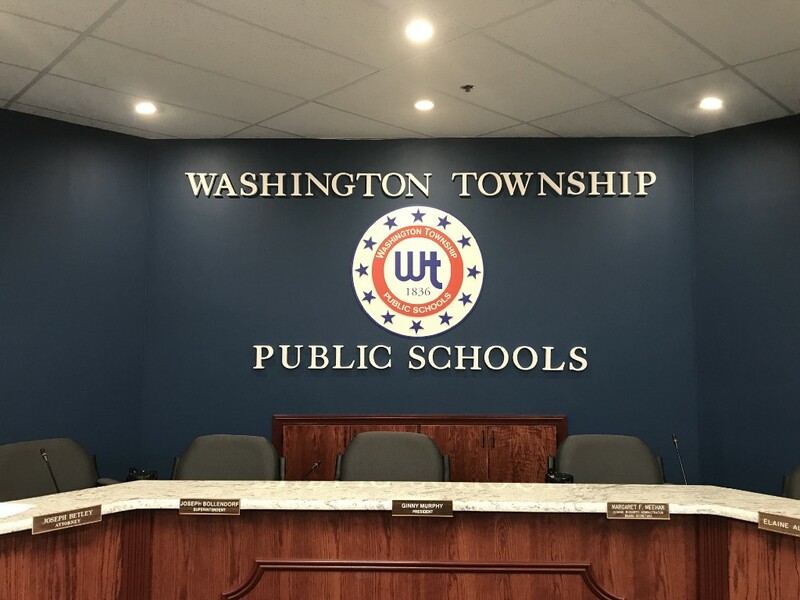 The Washington Township Board of Education voted on recommendations provided by the Washington Township Principals Association Investigation Committee at the Dec. 19 meeting, following an extensive examination into a WTPA contract addendum from 2015. According to board member Roy Dawson, the addendum was added to the WTPA contract on Aug. 25, 2015, creating an additional lane column for a district assistant director position. The addendum was not presented to the Board of Education or its committees, therefore the validity and integrity of the contract was investigated by an outside attorney. Dawson said not a single member of the Board of Education or its Negotiation Team had knowledge of the additional lane to the existing WTPA salary guide, therefore the Board of Education approved the investigation last year. “That investigation is completed and we are presenting a number of recommendations to ensure this type of incident never occurs again,” Dawson said. The eight total recommendations were voted on individually by the board, with conflicted members abstaining. The first recommendation to ratify the Aug. 25, 2015, addendum to the WTPA contract was not approved by the Board of Education with a 5–0 vote; Candice Zachowski, Bob Abbott, Dawson and Ginny Murphy abstained. The board approved the recommendation to hire an attorney to represent the district’s interests in all collective bargaining agreements with a unanimous 9–0 vote. The recommendation to approve Memorandums of Understanding and Agreement only when the salary guides are completed and presented, while also requiring the board to receive any language changes and/or deletions agreed upon by both parties also passed with a 8–1 vote; Julie Yankanich voted no. The Washington Township Principal’s Association Investigation Committee recommended all MUAs be dated and signed with the name printed below the inked signature, specifically on the day the board and employees sign them. This recommendation was approved with a unanimous 9–0 vote. The board also voted 8–1, with Yankanich voting no, to the recommendation requiring the board to approve all Memorandum of Agreement sidebars and/or addendum between the board and bargaining unit that involve a change in language, terms or conditions of the collection bargaining agreement on a board agenda. Additionally, it was recommended the board be made aware of any MOA that is disciplinary in nature in regard to agreements between the board and collective bargaining unit. Murphy said the recommendation did not require the board to take action on this issue, but merely be informed. The recommendation was approved by the board with an 8–1 vote; Yankanich voted no. The final two recommendations of creating a policy outlining the approval process for Collective Bargaining Agreements and Memorandum of Agreements and requiring all committees, including personnel and negotiations, to have a dated agenda and list of all participants in attendance were approved unanimously. According to Dawson, policy changes will be presented to the board as the necessary changes were approved.